I’m very excited to bring you not only a guest post today, but also a competition! Cinda C. MacKinnon is a writer who grew up in Colombia and Costa Rica and wrote a novel, A Place in the World, set in Colombia. She fell in love with the people, culture and natural setting. In this post she talks about something many of us love about Colombia: coffee. Don’t forget to read on for details of how to win a digital copy of her book. Colombia is the second largest coffee producer in the world…second only to Brazil. The volcanic soil is ideal for growing coffee. The geography however made it difficult to transport the beans to market, especially in the past, as most of the best regions were the least accessible. It is a boom-bust industry at the mercy of weather, politics and markets. Many growers fought to remain solvent in the last century and Latin American countries were asked to adhere to quotas – to which they bitterly agreed. In 1975 a disaster in Brazil, the Black Frost, ironically aided the Colombian coffee market. When a terrible freeze killed over half of their coffee plants and ruined the crop, demand went way up for Colombian coffee. Brazilians quickly began planting the Coffea robustica species because it grows fastest. The Arabica variety however, which Colombia is known for, is the higher quality coffee; this made Colombia the leader for the most sought after coffee. (I personally think Costa Rica is in the same league.) In more recent years Vietnam has become an equal contender in terms of quantity. Here is a fictional, but realistic passage (from A Place in the World) that depicts more about coffee cultivation from coffee growers giving a visitor a tour of their finca. They walked between rows fragrant with coffee flowers. Alicia trailed along, followed silently by the finca’s yellow watchdog. “Will you pick them soon? Is it harvest season?” Peter asked. … Did the first stock come from the jungle?” Peter asked. Everyone knows Colombia is famous for coffee, after all they invented Juan Valdez – but this excerpt tells a story you may not know about its history with Panama and the United States. “Tell me about your American grandfather,” Alicia said. 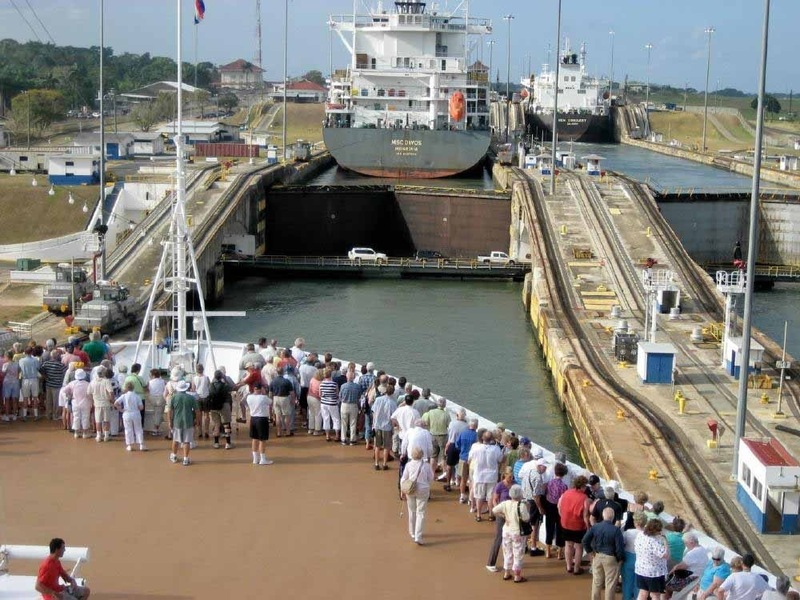 “You know when the building of the canal was inherited from the French, Panama was still part of Colombia, no?” he asked. …and now Jorge wanted to bring another gringa into the family. Have you ever been on a coffee tour? Where does your favourite coffee come from? Set in an emerald cloud forest in the final decades of 1900’s the passionate novel reads like a South American Out of Africa. 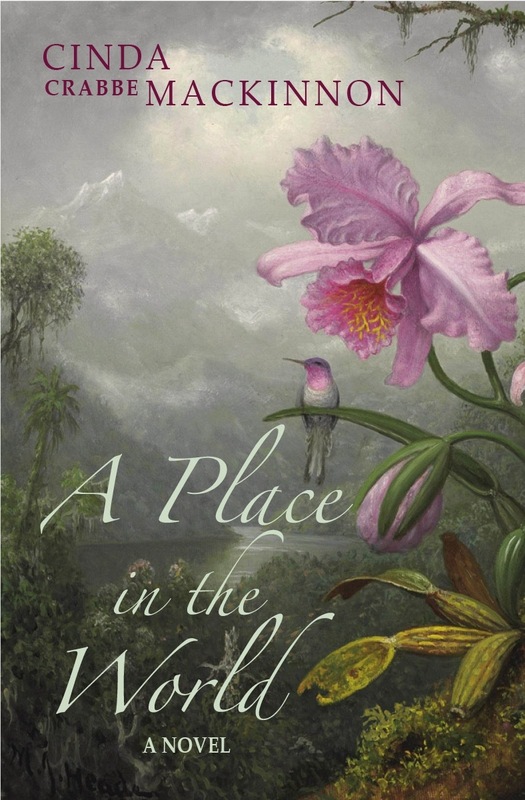 A Place in the World is the romantic-adventure story of a young biologist and a multicultural cast of characters. When her Colombian husband deserts her on his family’s coffee farm high in the Andes, Alicia struggles to make a life there for herself and her son even as guerrilla uprisings begin to threaten the area, and a nearby volcano rumbles to life. Check out Cinda’s Pinterest boards for fabulous photos of Colombia, rainforests and coffee. You can also get to know her better by visiting her website and blog, and liking her Facebook page. You can get a softcover copy here and the e-book version in various formats on http://www.smashwords.com or Amazon.